Expectations of working seamlessly across multiple technology channels and fundraising platforms is creating added challenges for the Australian Not for Profit sector, writes Save the Children CEO Paul Ronalds, who calls on Not for Profits to remain agile. Opinion: Expectations of working seamlessly across multiple technology channels and fundraising platforms is creating added challenges for the Australian Not for Profit sector, writes Save the Children CEO Paul Ronalds, who calls on Not for Profits to remain agile. A few weeks ago, Boots, a cat belonging to Melbourne woman Susie Butler, got stuck up a tree. After the RSPCA, local council and fire brigade refused to help, Ms Butler went onto the website GoFundMe and raised the $205 needed to pay for an animal rescuer. It’s a great example of the fundraising revolution faced by charities in Australia. Another is the Buy Duncan Storrar a Toaster campaign that raised $60,000 following his appearance on the ABC’s Q&A. These crowdfunding campaigns highlight one of the big changes in fundraising impacting charities: donors are increasingly using digital channels, and doing so on mobile devices. While digital is still a relatively small fundraising channel for charities, it’s growing rapidly and can be the most cost-effective method in some circumstances. In 2011, less than $15 million was raised online. In 2015, this had increased by more than 400 per cent to nearly $70 million. Average gifts are also trending up. Digital channels still don’t provide the volume of regular givers that larger charities are seeking. But they also don’t come with some of the growing problems of traditional fundraising methods. Complaints about face-to-face fundraising are increasing. Local councils are placing more restrictions on where and when it can be conducted. Good locations are increasingly crowded, leading to more restrictions or higher prices from those who “own” the spaces. It’s a race to the bottom, reflected in rising donor acquisition costs and high donor attrition. It’s also a supply dominated industry, which leaves charities with limited leverage when they receive poor performance. But there is another major change underway: the way that supporters engage with causes. Consumers are increasingly using fundraising platforms like GoFundMe, Everyday Hero, Kiva or Kickstarter to donate through, rather than directly supporting a charity. Cause-related marketing organisations like Thankyou Group are also increasingly popular ways to contribute to a cause. These new organisations are all digital natives, which means they are often better at leveraging new channels. At the moment, these new players are still emerging and not yet achieving significant scale, but it seems likely that they will continue to grow rapidly. Supporters also expect you to be able to engage with them seamlessly across multiple channels and technology platforms, all chosen by them. How should charities respond to these challenges? First of all, individually and collectively, we need to ensure our house is in order. While public trust in charities remains stable for the time being, many factors suggest this trust is increasingly fragile. In the United Kingdom, charities have been buffeted over the past 12 months. The suicide last May of 92-year-old Olive Cooke was blamed, at least partly, on the number of fundraising letters she received. This was followed by the high-profile collapse of Kids Company, with a torrent of mismanagement accusations. The common thread between the two events was a failure of governance – the fragile relationship between a charity, its beneficiaries and its supporters that relies on the vigilance of its board of directors. This element of trust is one of the reasons I am such a strong supporter of the ACNC. It’s in all our interests for there to be a well-regulated sector. Secondly, to achieve cut through in an environment where people access information and entertainment in fragmented ways, you need more relevant stories, images and other content. Supporters expect content to be tailored, meaningful to them and delivered in real-time. On digital channels, this content must be more emotional and hopeful. However, I also believe that some consolidation of the sector is required. While overall fundraising is growing – the National Australia Bank’s biannual Charitable Giving Index showed overall giving to charity grew by 6.5 per cent over the year to February 2016, up from just 2.4 per cent a year earlier – so too has the number of charities. This means that the available funding is shared between many more organisations. This growth is certainly impacting on the aid and development sector. The number of organisations has grown considerably while public giving to international aid and development has remained relatively stable since 2007. This is despite increasing fundraising investment by the largest 20 agencies. Since 2002/03, there has been a steady increase in fundraising costs, up from 10.5 per cent to 13 per cent. This is simply not sustainable. Sector consolidation will occur in one of two ways. Organisations could try to hang on, as their fundraising efficiency declines. This will destroy value and raises the likelihood of more public scandals. The second brave, and unfortunately rare approach is to act preemptively and find a merger partner that actually creates value. The third challenge faced by charities is to manage the decline of traditional fundraising channels while investing in new ones. In particular, how far ahead of the curve should we invest in our digital capacity? This investment is not limited to direct fundraising costs. It requires more sophisticated IT systems and more skilled staff. For example, a multi-channel capability requires a much more sophisticated customer relationship management capability. Save The Children Australia is currently implementing a new customer relationship management system at considerable cost. There is no doubt that all of these changes and challenges comprise a fundraising revolution: a fragile public trust in the sector, fierce competition among charities and from new fundraising platforms, increasing costs of traditional fundraising channels yet small returns from digital ones and like any revolution, when you are in the midst of it, the way out can be hard to see. My advice is to remain agile, keep experimenting and don’t for one moment be lulled into inaction. 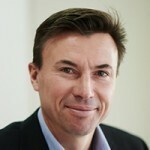 About the author: Paul Ronalds is CEO of international aid agency Save The Children Australia. He tweets at @PaulDRonalds. This article is an edited version of a speech given to the Australian Charities and Not-For-Profits Commission International Fundraising Forum in May 2016.